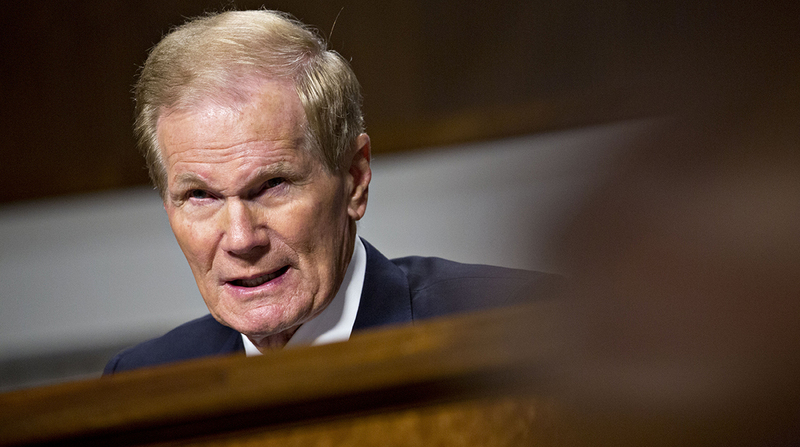 Florida Sen. Bill Nelson, the top Democrat on the trucking policy panel, lost his re-election bid to that state’s Republican governor in one of the most high-profile election contests of the midterms. After two recounts, Florida election officials announced that Gov. Rick Scott had a lead of about 10,000 votes over the incumbent. The announcement prompted Nelson to concede. “I will fight on to save this planet, our homes, our cities and the spreading plague of the greenhouse gases that infect our atmosphere,” Nelson said Nov. 18. The Democratic caucus has yet to announce who will fill Nelson’s ranking member post on the Commerce Committee when the new Congress convenes in January. Sens. Maria Cantwell of Washington and Amy Klobuchar of Minnesota are senior Democrats next in line in leadership on the panel. The committee’s jurisdictional portfolio also covers policy not related to transportation. Elected in 2000, Nelson is a funding proponent for resilient infrastructure and freight safety systems, and he helped advance aviation and railroad policy updates during his tenure. Nelson also pushed for safety provisions in multiyear highway bills, called for automatic braking technology that a few railroads have yet to install and touted the need to expand funding for high-speed internet, airports, seaports and transit systems.